We are glad to announce that we have rewarded the top 10 traders by reducing their account trading fees (Maker fee 0%, Taker fee 0.1%). Next round ends on 31th August 2016. 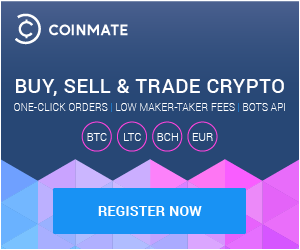 Sign up with Coinmate.io and begin trading crypto within minutes.